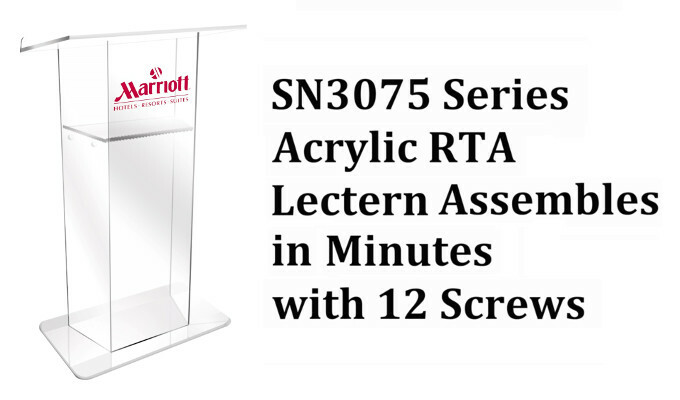 The AmpliVox Acrylic Lectern SN3075 Series projects an image of elegance in any setting, and beyond its great looks is remarkable convenience and portability. 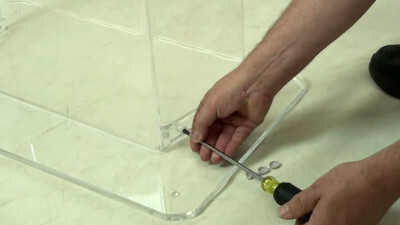 There are also four screws that hold the lectern storage shelf in place. 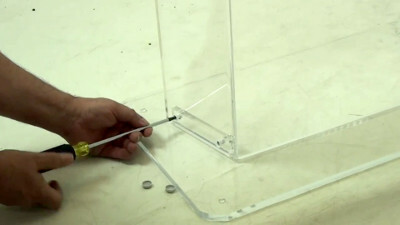 As a final touch, insert the decorative plastic caps. 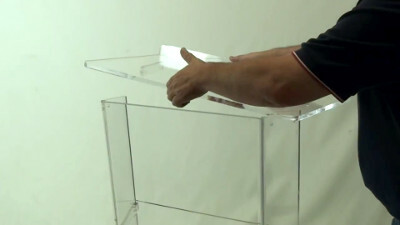 To take the lectern apart for transport, simply reverse the steps. 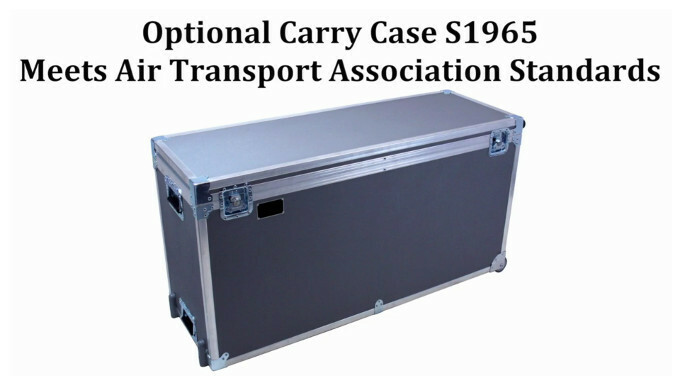 The storage shelf does not need to be removed for transport and there is an optional carrying case that meets the standards of the Air Transport Association that lets you transport this beautiful lectern anywhere without fear of damage. 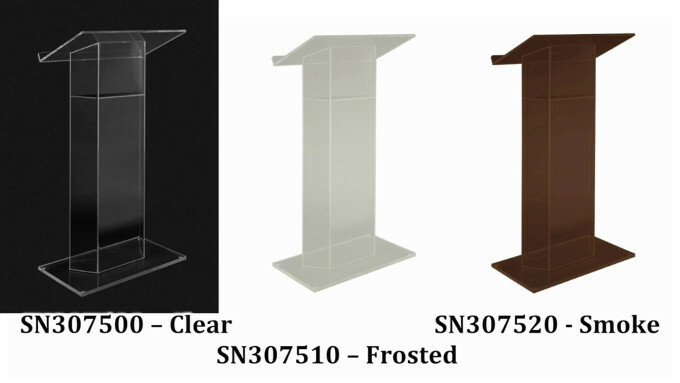 The lectern has a generous 27"x16" reading table, it comes in clear, frosted or smoke, or in your own custom tint. We can even add your logo. 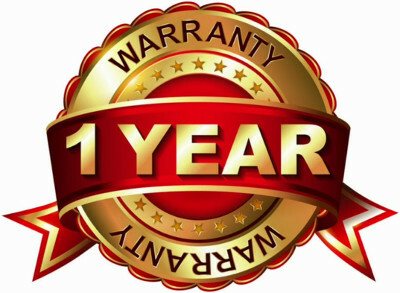 All AmpliVox acrylic lecterns feature a one year warranty.